It's that time of year again — spring has sprung to summer, and summer's almost gone (sorry), and the creative denizens of Burlington's Old North End are gearing up for yet another Ramble. 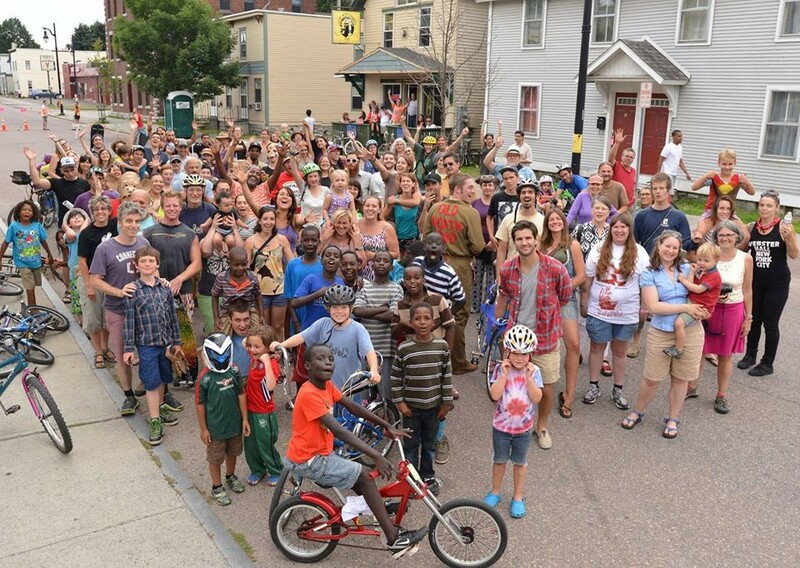 For those unfamiliar with the fest, it is as it sounds: On Saturday, July 29, attendees will ramble and rove throughout the funky neighborhood, stopping at yard sales, checking out musical performances, playing lawn games and more. This year's Ramble is themed "Under the Sea." The party kicks off on Friday night at the Radio Bean, owned by Ramble cofounder Lee Anderson. A slew of regional performers will take the stage at the Bean and the Light Club Lamp Shop, leading up to the always stellar, constantly danceable, set by DJ Taka at the latter. On Saturday, the Bean celebrates Taka's two-year anniversary spinning in the lamp-filled venue. Interested in more musical happenings? There's no shortage, so be sure to check out Jordan Adams' quick hits in this week's Soundbites. For those looking to engage in a full day of activities, make sure to consult a Ramble map, available online or at a variety of O.N.E. venues. Burlington artist (and Seven Days proofreader!) Kara Torres designed the funky mermaid gracing the cover. 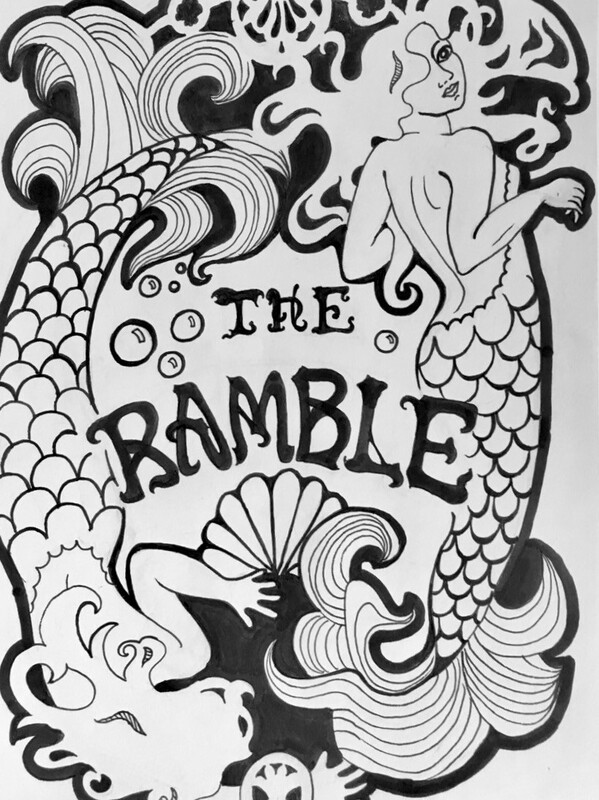 In the pamphlet, longtime Ramble organizer Jeannie Waltz explains how the theme came to be. "There will always be a vacant seat at any type of Ramble gathering," she writes, "without local artist and Rambler extraordinaire Darshana Bolt, aka Emerald Alizarin Avilix-Sang." Bolt, an artist and avid Rambler, died last summer. The theme and the cover are a nod to Bolt's love of mermaids. There will be an informational booth at the Ramble for Project Mermaid, an effort to install a mermaid statue dedicated to Bolt on Burlington's waterfront. Bolt's sister, Serenity, is leading the fundraising effort, with the support of the city. That project is still in the works, but during Saturday's celebration, Ramblers will be able to receive a mermaid print from one of Bolt's printing blocks in exchange for donations. Other events to watch out for, not in chronological order: Smoothies and juice shots at Mawuhi African Market; time-lapse videos by Meghan O'Rourke at Channel 17/Town Meeting TV studios; "Cherie's Yard Sale "which promises to contain "beautiful dressmaking fabrics;" the O.N.E. talent show at Saint Joseph's School; and the ever-entrancing Decaturfest, on Decatur Street. And that's just the tip of the iceberg. Happy Rambling, folks.